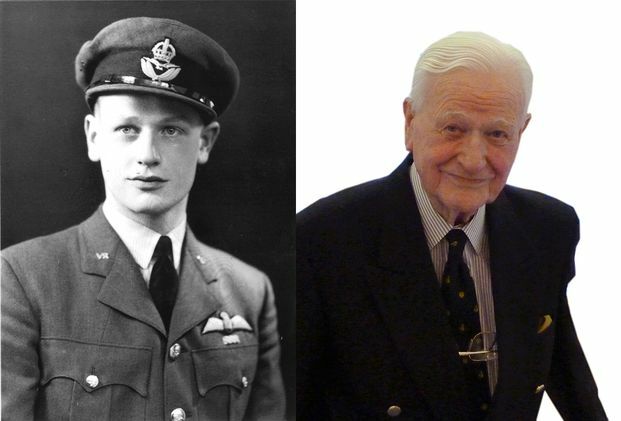 Tom Neil had already fought in the Battle of Britain when he was posted to Malta in the summer of 1941. He is well known for his books on his wartime experiences; Gun Button to Fire, Onward to Malta, Questions of Guilt (short stories), Flight into Darkness (short stories). His most recent book is Silver Spitfire published in February 2013. On 21st May 1941 Neil and his fellow pilots from 249 Squadron were to fly off from H.M.S Ark Royal when they were within about five hundred miles from Malta; taking off in two batches; a flight of twelve led by ‘Butch’ Barton and the second flight of eleven led by Neil. Each group was to be escorted by a Fulmar and to fly just above the water, maintaining RT silence throughout the flight. This may all sound straight-forward although for the pilots it was fraught with risk. Their route took them past Cape Bon on the northern tip of Africa. The Vichy French were known to be hostile and it was uncertain whether or not they might attack the Hurricanes. Then the planes had to avoid Pantelleria, Lampedusa and Linoa before locating Malta. The first difficulty for Neil was a problem with the port wing. The gun and ammunition panels came adrift during takeoff and a piece of metal several feet in area was sticking up; effectively acting as an airbrake on the left hand side of the aircraft. In addition the paper and maps on which he’d written the courses for Malta and had tucked into the windscreen crevasse had been blown out of the plane. Faced with the choice of attempting to land back on the carrier without a hook and with two overload fuel tanks just waiting to catch fire or continuing, he decided to press on, following the Fulmar eastwards. After about half an hour of flying and once they were clear of the Cape Bon suddenly and inexplicably the Fulmar began to accelerate, pulled up steeply and disappeared into cloud. He was also responsible for ten other pilots and only twenty years of age. He broke RT silence to ask if anyone else would like to lead the way to Malta and nobody volunteered. So Neil decided the only thing to do was to head back for Gibraltar. They came upon the fleet which they had left earlier and salvation in the form of a Fulmar, their Fulmar as it happened which took off from Ark Royal and waggled its wings to demonstrate that they should follow. Later they discovered the pilot had had to return to the ship after an oil pipe had burst spraying him with hot liquid and he thought his engine might seize up. By now they’d been airborne for more than two hours and had a further three and a half hours of flying to reach Malta. “Malta, when it came, appeared with magical suddenness… in the form of cliffs… white and brown out of the mist and sea and were almost within touching distance… the island itself – ochre-coloured sandstone, glaringly bright, tiny brown stone-fringed fields the size of pocket handkerchiefs, , everything hot and lumpy and harsh to the eye…"
Luqa was being bombed as they approached but as they were running out of fuel there was no choice but to land anyway. Once on the ground a chap with a pipe climbed onto the wing to guide Neil explaining that they were in the middle of an air raid. Neil commented dryly that he had noticed and then a spark from the man’s pipe landed in his eye causing him agony. It was a brusque welcome to the island. "I feel honoured that you have thought fit to single me out as being rather special - which, of course I'm not! I and readers of this blog may well disagree with that last comment.